Discover the balance that’s right for your sporting habits with the correct lens diameter and a comfortable way to carry your binoculars. The GrabAGun selection features varying levels of weight and performance that let you choose based on your skills set, strength, stamina, target, and environment. Achieve your desired field of view from our range of magnification options. Spot your target faster in a woodland environment, mountainous setting, or open terrain with lab- and field-tested manufacturers like Nikon, Steiner, and Redfield. The durability of our high-quality binoculars will stand strong against the great outdoors, as well as against the ruggedness of your activity. Waterproof binoculars are sealed to prevent a view obscured by water and debris that could obstruct or sabotage a prize shot. 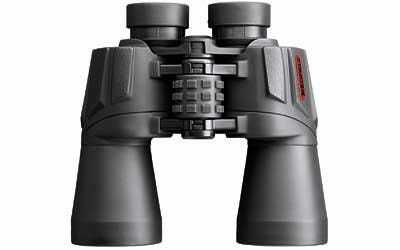 Fogproof binoculars contain argon or nitrogen to prevent lenses from fogging in extreme temperatures. Blend into your surroundings with varying color options and achieve optimal comfort with a carrying case or carrying straps. GrabAGun’s diverse binocular selection ranges from compact to full-size as well as clam and box-shaped to meet your needs in any situation. Choose the right lens size for high performance in low light situations. Porro prism, reverse porro prism and roof prism options are available to offer rich depth of field and large fields of view to suit many types of landscapes.